When a hunter is looking to take on varmint, the first name to come to mind is always V-Max. 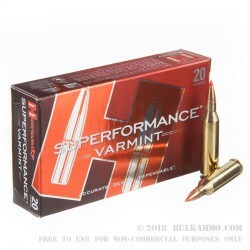 Hornady sets the gold standard for varmint cartridges, so dubbed for their intended target. 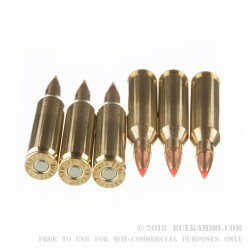 Varmint cartridges are typically small bullets necked into larger casings, with the intended effect being incredibly high speed and accuracy. 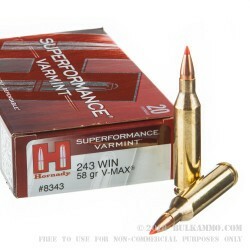 Hornady’s V-Max Superformance kicks things up a notch by increasing the speed of their projectiles further than a standard .243, while using polymer-tipped V-Max rounds to promote both accuracy and cavitation upon impact. These .243 Win. V-Max bullets weigh in at 58 grain and can satisfy the needs of any hunter looking to deal with small varmint and other pests. Hornady’s .243 Winchester V-Max Superformance goes a lightning fast 3,925 feet per second out of the barrel and produces 1,984 foot-pounds of energy at the muzzle. 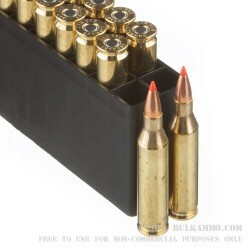 Its loaded bullets are 58-grain polymer-tipped V-Max rounds, specially designed by Hornady. The boxer-primed brass casings are safe for reuse.